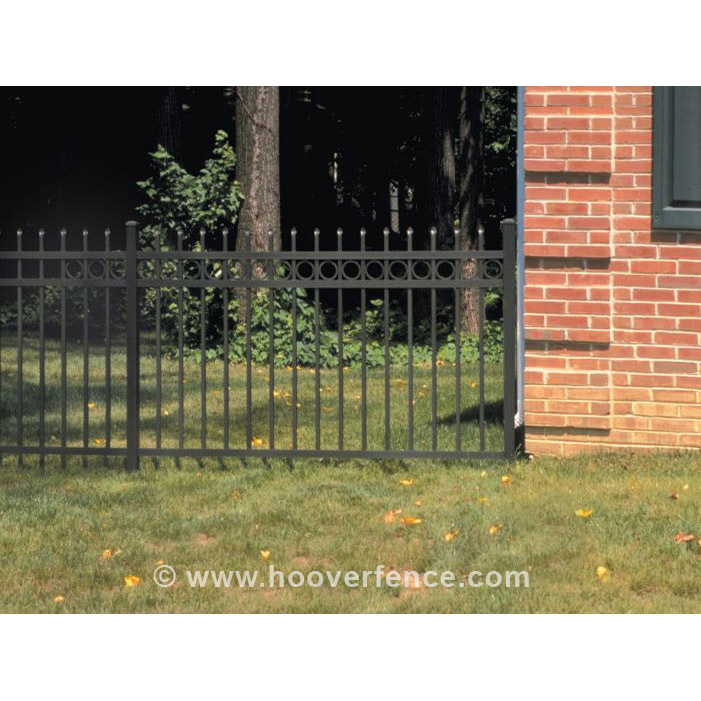 Jerith Buckingham Plus Rings Aluminum Fence Section | Hoover Fence Co. The Jerith Buckingham Plus style aluminum fence has pointed pickets straight across the top extending above the top rail with rings below. 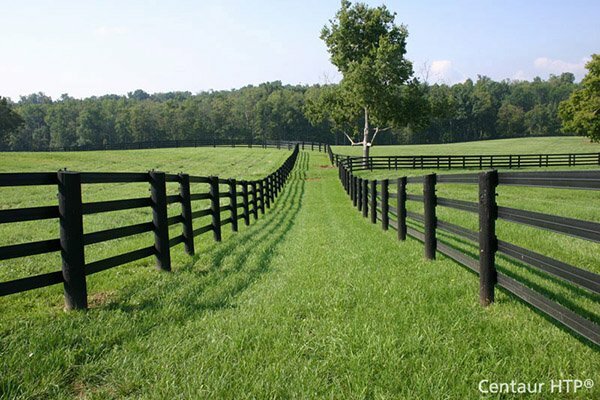 All heights have three rails with no pickets extending past the modified bottom rail.